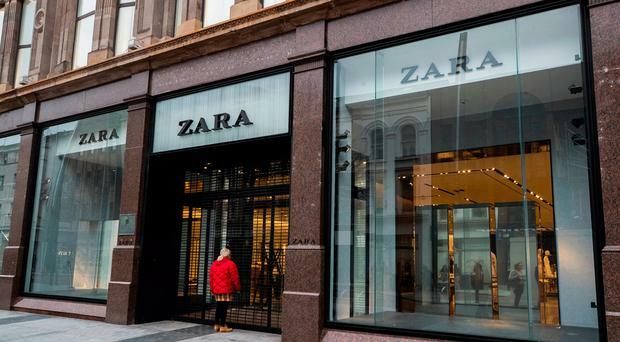 As fashion retailer Zara resumes trading at its Belfast city centre store it's claimed the Tesco Metro reopening and a further reduction of the Primark safety cordon are not far off. The shop, along with 14 others, was forced to shut in the wake of the devastating Primark Bank Buildings fire last August. The cause of the fire is still under investigation. Many retailers have expressed concern the closure of large stores such as Zara, Tesco and McDonald's which pull crowds into the city would have a long term detrimental impact on footfall in the city. Over the past six months Belfast City Council has been forced to put in place a safety cordon over fears the building could collapse. However, as work continues to painstakingly bring down the building in order to rebuild the cordon has been slowly reduced in size allowing business to reopen. Belfast Chamber of Trade president Rajesh Rana told the BBC he expected Tesco to reopen its Metro store at the end of April and the cordon would be reduced further in June to allow buses - which have been on altered routes since the fire - to again pass through the heart of the city. Belfast city council said it expected the cordon to be reduced at the end of the month allowing Tesco to reopen, however, it said responsibility for the cordon rested with Primark. Tesco said it was "working hard to re-open" the Belfast store but did not provide a date. Primark is also to reopen its second city centre store on April 16. An extension at the rear of Bank Buildings at Commonwealth House opened in November. Challenge now is to get more families back into the city. Mr Rana said the reopening of Zara was "very important store for the city centre" as it was the only store in Northern Ireland. Zara in Belfast reopened after the Primark fire. "So a really key store and it will help get people back into the city .... we are looking forward to it reopening," he added. "It is not just about one shop. Primark is opening the second store right in the city centre. There is a lot of positivity around. I was very pleased the way the business community, the council and Belfast City Centre management pulled together before Christmas and that campaign really worked and drew people into the city who had not been in for a while. "The challenge now is to get more families back in and we hope our pop-up play park will help that." Over the coming weeks a spring continental market is to reopen and the Festival of Fools returns which it is hoped to draw in more people to the city. "Footfall was very strong in the last couple of weeks coming up to Christmas," Mr Rana added. "The fundamentals are strong - big stores such a Marks and Spencer and House of Fraser are some of the the best performing for those groups in the UK so Belfast has a very strong retail offering which I think people can forget. "When people come in to the city centre they really enjoy it. "There is a lot of action going on behind the scenes and a lot of good news is coming out." 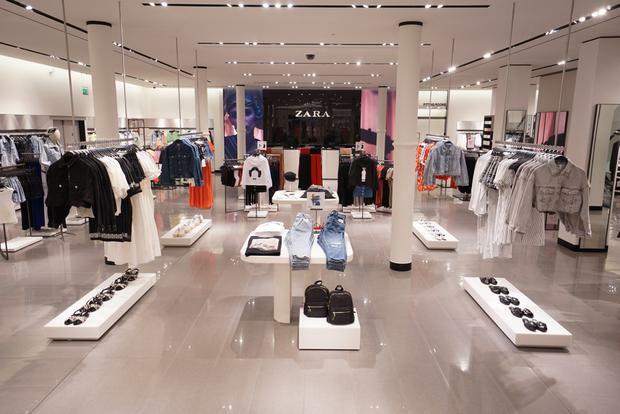 Retail NI chief executive Glyn Roberts said the opening of Zara was another welcome step forward. “Zara contributes a significant amount of footfall and is an important part of part of the City Centre’s retail offering," he said. "While good progress is being made, we still have some way to go to fully rejuvenate that part of the city centre. Primark was also approached for comment.